The kickoff event for MSMS Alumni Weekend 2019 is our MSMS Alumni Panel where alumni field questions from current MSMS students about careers, college, and life. Mattie Clay, Class of 2004, is one of our 2019 panelists. The Alumni Panel will speak on Friday, March 29th, at 3:00 PM in Shackelford Auditorium. Alumni are welcomed to attend. Ms. Mattie Clay is a 2004 MSMS alumna and patent attorney at Clay IP Law, where she enjoys counseling creators, innovators, businesses, and artists in intellectual property matters. After MSMS, Mattie attended Millsaps College for a year before transferring to Grinnell College in Grinnell, IA, where she graduated with a Bachelor’s degree in Physics. She later attended law school at the University of Iowa College of Law in Iowa City. 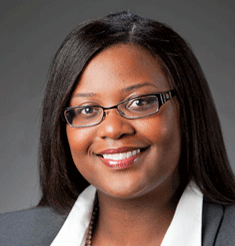 Prior to opening Clay IP Law, Mattie practiced law in large and mid-sized firms based in Milwaukee, WI. Today, Mattie lives in Hattiesburg, MS, with her husband Nate Clay, another 2004 MSMS alum. Mattie also serves on the MSMS Foundation board. In her downtime, Mattie enjoys spending time with family and friends, writing, theatre, supporting rising and established creators, and singing with her family’s gospel choir. We’re excited to hear Ms. Clay’s thoughts on life and law post-MSMS.